Chad Media, the company that gave you Venus Spa, Ninjas, the award winning Zombie Vigilante and Double Agents, delivers soap dish of horrors with The Young and the Undead! 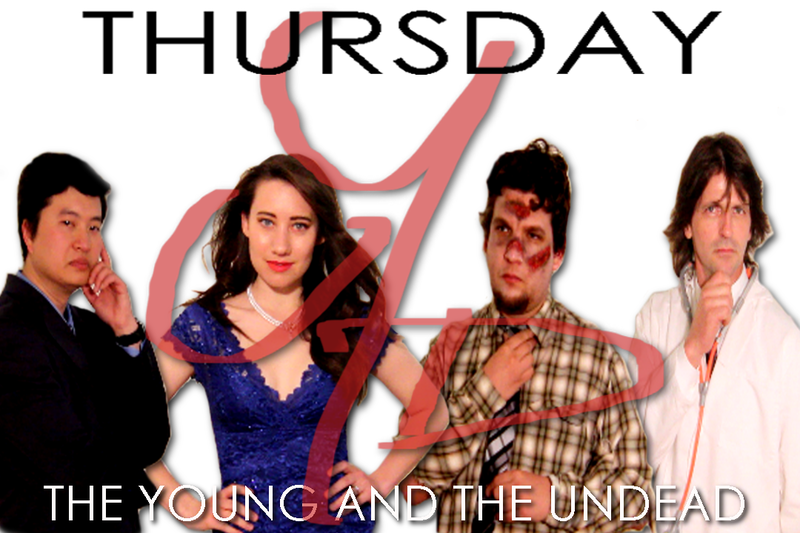 The Young and the Undead parodies both the daytime soap opera genre as well as horror films. The show begins with Victor and Vicki preparing for a dream vacation. The problem is Vicki is hiding a horrible secret that could destroy everything. At least she will be close to her late husband! The Young and the Undead, (abbreviated to YU,) is now on Chad Media's YouTube channel. Chad Media is a new media company who has been making entertaining lower budget content for the web since 2008.